Search Do eye creams really work? It's not surprising we give so much attention to our under-eye region; when we look in the mirror, it's the first thing our searching, usually over-critical eyes see. But remember, whenever we perceive imperfections with our skin – especially as we age – whether that's dark circles, wrinkles or puffiness, the first step should be a step back, away from the mirror. These problems are usually amplified when we're up close and personal with our reflections, and with a bit of perspective, you might be pleasantly surprised. 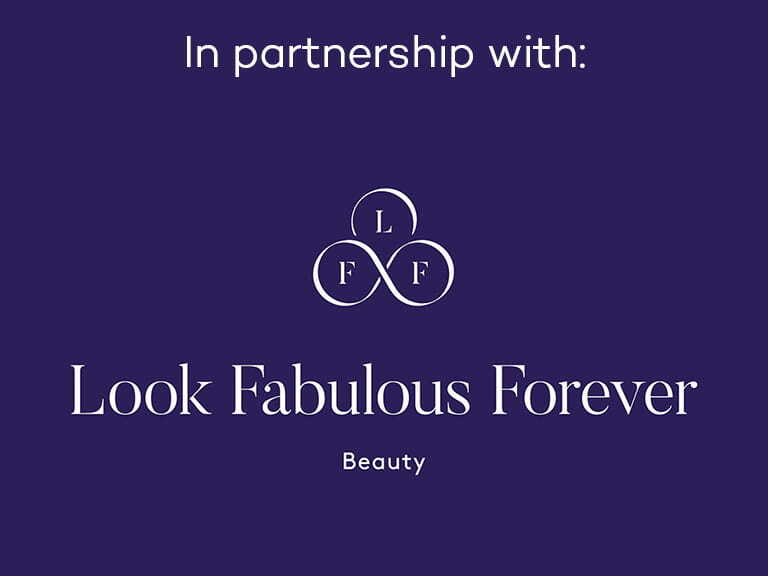 But, having taken that step back (and realising you actually look pretty fabulous on the whole), you may still be resolved to invest in an eye cream, if you don't use one already. And why not? The skin under our eyes is a lot thinner and more fragile than the rest of our skin. It feels right that we should give it that little bit of extra attention each day. In which case, we're back to square one. Do eye creams work? And if so, which one is best for you? There's a huge amount of information about eye creams out there. The sheer number available can be overwhelming and it seems everyone has something to say about which one is best. Choosing the one that's ideal for you may feel like trying to find a needle in a haystack. To help you on your way, let's look at the most common complaints in the ocular area; key ingredients that might alleviate these problems; and eye creams that contain these all-important ingredients. 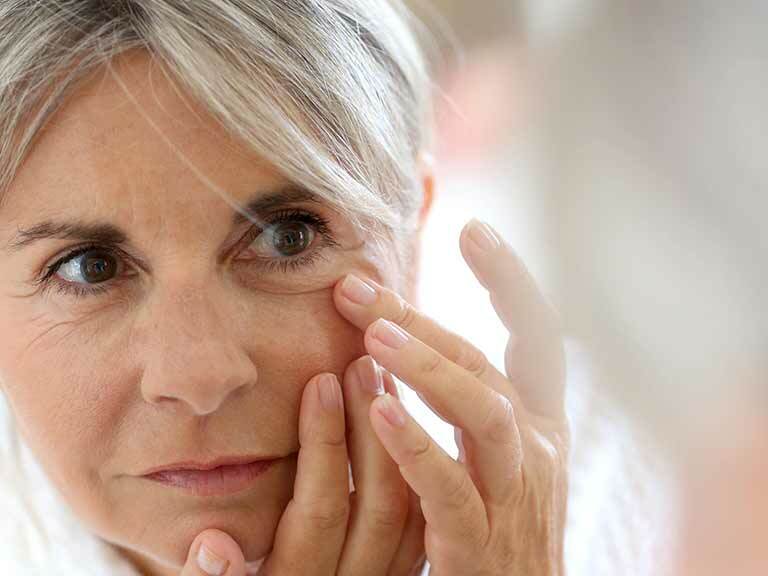 As we get older, the already fragile skin under our eyes becomes weaker due to reduced collagen production. As a result, the fat that sits under our skin can bulge out – causing that puffy look. Peptides help stimulate collagen production and help strengthen the structure of our skin. Whilst retinol can also be used to help stimulate collagen, an eye cream with peptides may be more suitable if you have sensitive skin. Try: Eye Wonder Nutri-Active Eye Serum by Oskia. At £50 for 10ml, it's not the cheapest on the market, but it's packed with peptides and delightfully soft and refreshing. Periorbital dark circles are usually caused by blood vessels that can be seen through the skin under our eyes. They're often an inherited trait, which means that no amount of sleep will help them disappear. And they may become even more pronounced as our skin thins with age. It has been suggested that caffeine, applied topically, can help tighten the fine blood vessels under our skin, and therefore reduce the appearance of dark circles. Try: Ideal Resource Anti-Dark Circle Eye Illuminator by Darphin. £42 for 15ml. It contains collagen-boosting ingredients, green tea extract and caffeine. How well our skin is hydrated can greatly affect its appearance; when our skin is dry, wrinkles can appear deeper and more pronounced. Hyaluronic acid is found naturally in the dermis of the skin but as we get older this depletes, resulting in our skin becoming dehydrated. The skin around the eyes is much thinner than the rest of your face, which means that it is much more susceptible to dehydration. Sodium hyaluronate is the salt form of Hyaluronic acid; ingredients in a salt form tend to be more stable. It hydrates the skin by attracting moisture to boost hydration on the surface of skin, plumping up the skin and reducing the appearance of wrinkles. Try: DAYTOX Eye Wonder Serum. At £24 for 14ml, this viscous eye serum absorbs quickly into the skin to provide moisture and softness, firms and invigorates the skin around the eyes and combats the signs of stress and tiredness. Retinol usually comes up number one because of its collagen-boosting properties. However, since it can be harsh on sensitive skin, it may be wise to exercise a bit of caution before slathering on a retinol eye cream (you may want to use something with peptides instead). Try: Redermic [R] Eyes by La Roche-Posay. £25.50 for 15ml. It's mid-priced and even suitable for sensitive skin. For a little help with everything, Advanced Génifique Eye Cream by Lancôme is our number one all-rounder. At £43 for 15ml it gives your eye area a bright and refreshing lift each day. Now make that step away from the mirror! Equipped with an eye cream that makes your skin feel great, you can now focus on other ways to feel fabulous this summer. Whether that's a nice new lipstick, adding a splash of colour to your wardrobe, or enjoying delicious healthy recipes and exercise, just make sure you don’t spend too much time and energy focusing on the issues you perceive in your under-eye area – it's very unlikely that anyone else has even noticed them!